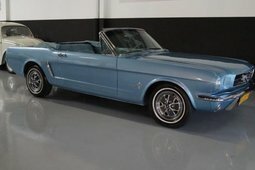 This beautiful Ford Mustang Cabriolet was built in 1965 and executed in a new light blue metallic paint with beautiful chrome trim and a new black soft top. 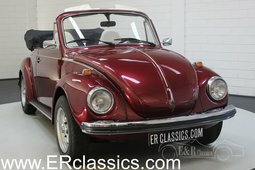 The interior of this American convertible has been largely renewed and fitted with black upholstery. Optically and technically, this Ford Mustang is in very good condition. In 2018 this Ford Mustang has been extensively restored. The refurbished 260 CUI (4.3L) V8 engine is coupled to an automatic gearbox and makes the car ride fantastically. 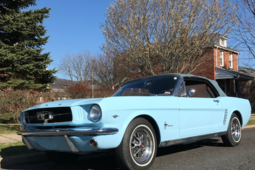 Furthermore, this classic car features a wooden steering wheel, new stainless steel exhaust system and the original Mustang owners manual is present at the car. A very nice Ford Mustang that guarantees a lot of driving pleasure!